According to many people with and without First Nations (FN) ancestry, the potential benefits of cannabis industry involvement cannot be overestimated. Simply put, if involvement is properly enabled by the federal and provincial governments and to the appropriate extent, it could mean a sea change for Canada's indigenous people. It's obviously all about long-term and large revenue opportunities, at a time in history when it's still the case, as stated by Allan Adam, chief of the Athabasca Chipewyan FN in northern Alberta on CBC.ca, "so many FN across this country are in such dire straits." In short, Cannabis represents an opportunity for sustained financial benefit and self determination that leaders such as Les Doiron are not keen to miss. "Ucluelet FN has been involved in the fishing industry from catch to sale for centuries, and cannabis represents a similar opportunity to create economic opportunities while the fishing industry is in a downturn," notes the president of Ucluelet FN in BC. "Cannabis represents a new and emerging industry, creating an opportunity for FNs to get involved from the very beginning." The good news is that the range of opportunity seems wide open. Various First Nations may be able to invest in a cannabis company, create training programs related to cannabis cultivation and business operation employment, partake in community benefit agreements, get involved in retail sales or become licensed producers (LPs). For his part, Doiron believes entrance into the industry for FNs "should be immediately at the tax revenue side, and all other opportunities should be available and considered throughout the value chain. The opportunities are present for entrepreneurs and the FN government level as landlords to direct owners." Doiron believes that "cannabis, if done correctly, can be an economic foundation, and also if the tax revenue is shared appropriately, it will also provide direct benefits to communities." A growing number of FNs are entering the retail sphere. The Saskatchewan government recently included three Saskatchewan FN on a list of communities that could apply for permits to set up cannabis stores. 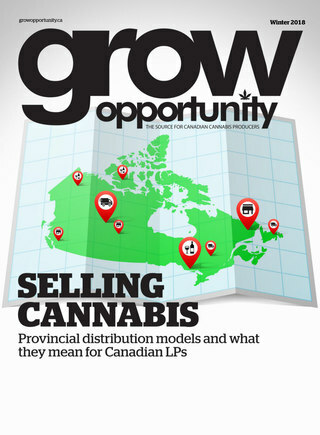 Manitoba has set aside a dedicated amount of retail outlet permissions for FN, and two of four entities chosen so far have FN involvement: one a group made up of the Fisher River Cree Nation, the Chippewas of the Thames in Ontario and cannabis companies Avana Canada, MediPharm Labs and U.S.-based Native Roots Dispensary. The other is National Access Cannabis, which will open retail locations in partnership five Manitoba FN: the Opaskwayak Cree Nation, Long Plain FN, Peguis FN, Brokenhead Ojibway Nation and Nisichawayasihk Cree Nation. National Access will also operate ten other cannabis stores and an e-commerce platform. First Nations are also investing in cannabis firms. For example, National Access Cannabis investors include the Opaskwayak Cree Nation ($3 million). 48North, located near Kirkland Lake, Ontario, boasts almost 50 FN investors (through its subsidiary Delshen Therapeutics). 48North also has community benefit agreements with two FN communities, Matachewan and Wahgoshig, on whose traditional lands the firm's operations sit. "At present, 48North is working with Indigenous groups to collaboratively craft a next-generation commitment that can have greater impact specific to each community's needs and can be accessed by all indigenous people," says CEO Alison Gordon. "48North is located on the traditional territories of two indigenous communities and we believe to be good corporate neighbours, we should provide employment opportunities, community cannabis education and support local programs that enhance the lives of indigenous people and their communities." Licensed production and cannabis company ownership for FN communities is the mission of Ravenquest BioMed, which so far has opened several of its own production operations, including Alberta Green Biotech in Edmonton, Bloomera in Ontario, and Aquapharma in BC. RavenQuest helps interested FN communities with licence applications, raising capital, planning and building facilities, training staff and running the business. In March 2018, RavenQuest signed a partnership agreement with Fort McMurray #468 FN to start up a cannabis growing facility on that Nation's land. Initially sized at 24,000 sq.ft., it is planned to expand to 250,000 sq.ft. In exchange for expertise and guidance, RavenQuest will receive a 30 per cent ownership interest and the rights to a perpetual stream of a portion of cannabis produced. In the associated press release, Fort McMurray #468 FN chief Ron Kreutzer said that participating in the cannabis sector will allow his FN "to take one step closer to being a self-sufficient Nation for the next seven generations." Also at the time, the band's CEO Brad Callihoo reported to CBC News that the move allows the band to diversify its business interests away from oil and gas development. The facility, to be called Sweet Grass, will open in July 2019 and may involve a store on and off the reserve. RavenQuest expects the business to generate $13 million annually and provide 20 to 40 local jobs. "The goal for us is for the FNs that we work with to eventually completely own the business," explains RavenQuest Indigenous Relations Lead Bill Robinson. "We feel ownership and operation of a growing facility as an LP is better than other forms of FN involvement in the cannabis industry, as the FN is able to make business management decisions, control the number of employees that are FN, provide training for that, and achieve economic sustainability." Robinson joined the firm when it formed about five years ago because he was attracted to its mission. During his career, Robinson has worked on many FN issues as an RCMP officer in Manitoba (rising to head the force in that province) and has also developed provincial policy for cannabis while serving as president of the Alberta Liquor and Gaming Commission. "From my experience in dealing with many FN communities around gaming in particular," he says, "when FNs run the business, whether they have teamed up with third parties to start it or not, they become experts. They become well-versed in every aspect, and they are able to then talk to the federal government about industry issues as an industry stakeholder and be involved in setting policy and regulations. There are just so many opportunities for business owners." Robinson notes that a lot of FN communities are in the exploration and decision-making process right now in relation to cannabis, and that some want to focus on retail operations, some on production, some on specializing in edibles and drinkables or pharmaceutical products. He says he and others from RavenQuest have visited over 200 FN communities across the country to make sure they are aware of all the opportunities. When asked if FNs are skeptical of his firm, Robinson says no, because it has an excellent reputation and is up front about its goals. "We are a successful, for-profit publicly-traded firm," he notes. "RavenQuest was started because we saw a need and a desire for FN to be involved in the cannabis and/or hemp sectors. This was our mission from the start. We needed to build our own facilities to serve as models for production and as space for research projects with academics. We will have FN folks being trained at our facilities and working there permanently also, and will continue to rotate FN folks through so that they can go back to their facilities and make it a success." RavenQuest has firm agreements with other FN besides Fort McMurray #468, and when at capacity, Robinson says they would like to be involved with between 20 and 25 FN at any given time. RavenQuest has also worked with other groups to form the Indigenous People's Cannabis Association, a platform for FN LP's to present a united industry voice. Indigenous Roots is perhaps one of the most well-known FN LPs in Canada. It's a new 50-50 partnership between LP Cronos Group and IndigiCo, a company that's described in the media as aiming to help FNs get involved in cannabis (there is no website and neither Cronos nor Indigenous Roots responded to questions). It began construction on a 2,800-square-meter growing facility in Armstrong, B.C. in June. The profits will be split evenly between partner FNs and Cronos, and the reported focus on supplying prescription cannabis to FN communities. Current Cronos workers will train FN members to run the firm, with 30 to 50 jobs expected. In the view of David Milward, an associate professor of law at the University of Victoria in BC with Cree ancestry, it's important that no matter what type of involvement a FN chooses, everyone should remember that cannabis is not and will not be 'the be-all, end-all.' He believes that similarly to casino businesses, lots of planning is needed in relation to cannabis in order for opportunities to be used to build up FN communities. "Each community has to make the decision for itself," he says, "weighing the positives with the negatives." Chief Elaine Johnston of theSerpent River FN in Ontario (midway between Sault Ste. Marie and Sudbury) notes that while some FNs are definitely eager and ready to be involved in cannabis as an economic venture, others are not. "Some want to collect the taxes to pay for social and health services but also to foster business development and provide jobs to people," she notes. "However, there are other FN who are not ready at all." When asked for his view of the biggest challenges for FNs to be involved in the Canadian cannabis industry, Robinson notes that it's sometimes not easy for some communities to gain consensus. "It's quite a complex industry with many facets," he notes. "We want FN to fully understand all of what's involved, and to be able to prevent addictions or additional addictions issues and deal with concerns about organized crime. We feel strongly that it's important to have prevention and pro-active programs in place."